Skinny Pizza, it’s a love and hate affair. 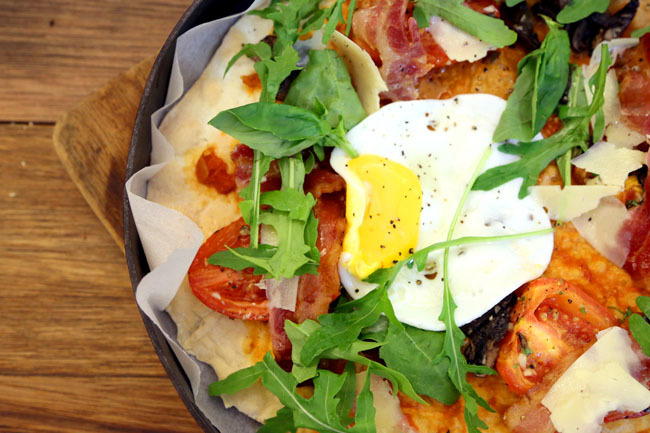 There are some who love the creativity; while the traditionalist fans of doughy cheesy wood-fired pizzas hate it. “This is not a pizza!” They are not exactly wrong. 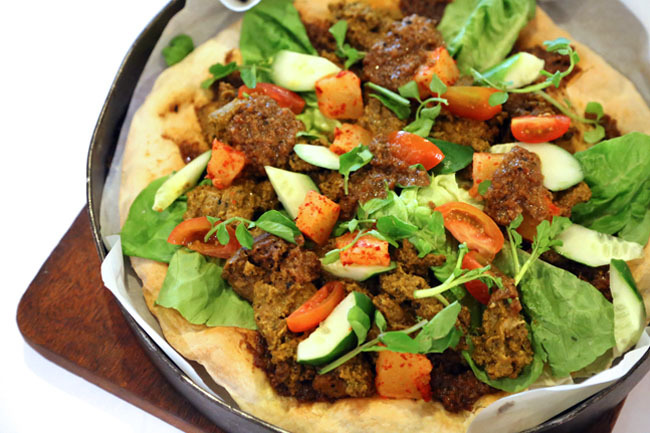 The skinny pizza, created by the Spa Espirt Group, is inspired by the roti pratas, naans and pappadums, which would have a ‘crackling’ sound after taking a bite. With a super-thin crisp base, they are usually topped with freshly cooked produce and lots of green, as though as you are having a salad as well. To appeal to the health-conscious. Of course if you are really a health-freak, you won’t touch a pizza of any kind. 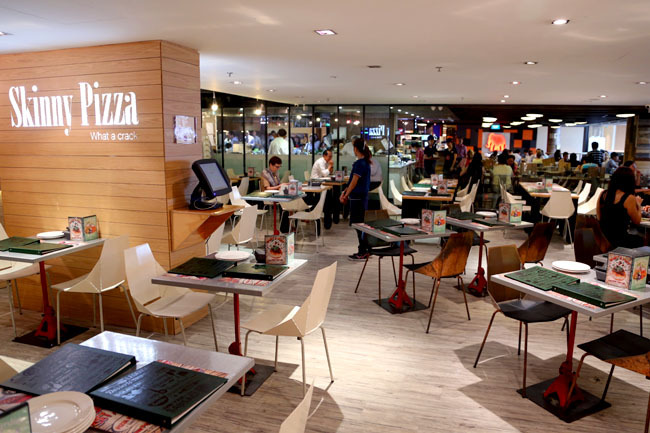 Skinny Pizza has recently launched 3 new varieties, the Satay Chicken Pizza, Dijon Chicken & Coriander Pesto Pizza, and Moroccan Chicken Pizza. The one which obviously works for the Singapore market is the Satay Chicken Pizza ($22), with is really quite over flowing with satay peanut sauce. 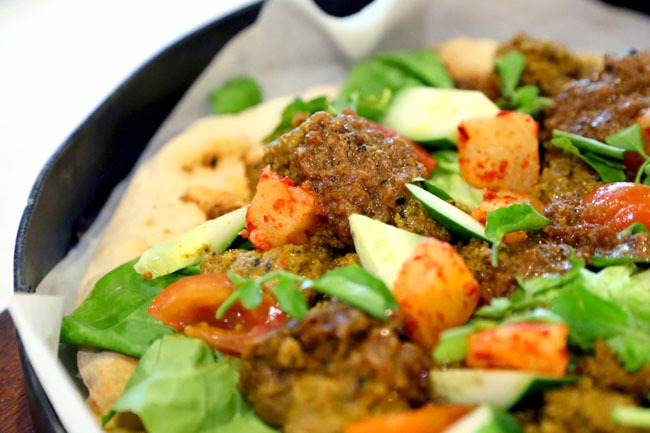 I could not stop sweeping the sauce with the pappadum-like crust – the pair is obviously made for one another. Why did they take so long? I liked that the chicken meat came in huge yet biteable tender chunks, with some pineapple cubes at the side which obviously worked. The Moroccan Chicken Pizza ($24) on the other hand was a question mark. 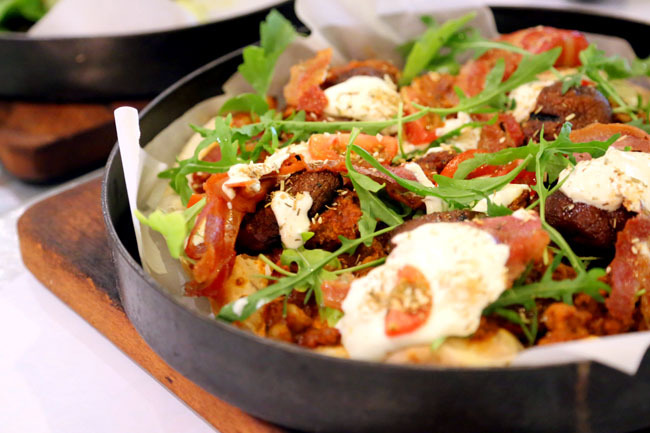 With mashed chicken meatballs cloaked in a hearty ragu sauce and served with mini portobello mushrooms, crisp bacon, sour cream, rocket and dukkah, this takes some getting used to and can prove to be slightly heavy. There was not an immediate liking, but I could live with a slice or two if it is ordered to be shared. 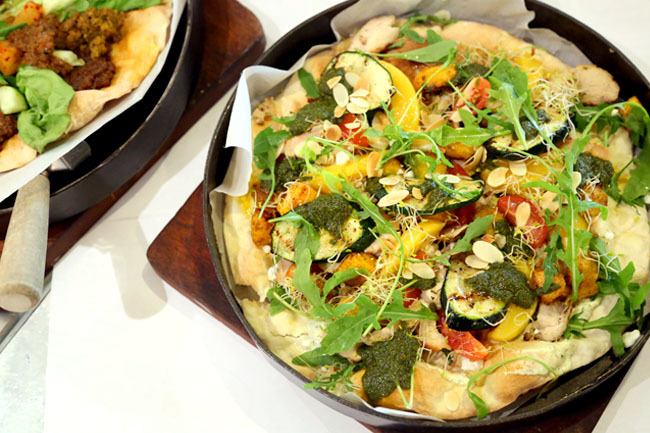 Vege-lovers (and maybe the ladies) may enjoy the Dijon Chicken & Coriander Pesto Pizza ($24). While the meat, the Dijon-marinated chicken is not just juicy as I would imagine, the supporting ingredients such as the grilled zucchini, sweet peach and pan-roasted pumpkin added some lovely sweetness and variety in taste. The Satay Chicken has already proven to be one of the most popular flavours at Skinny Pizza, along with the regulars of Truffled Mushroom, Squid Ink, Ginger Butter Chicken and English Breakfast. Which is your personal favourite? Or do you happen to be a hater? ← 5 Best Liu Sha Bao aka Golden Custard Buns in Singapore. Let’s Ooze!